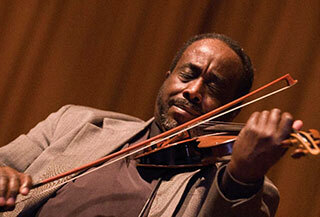 Thank you for visiting the website of the late great Jazz Violinist, John Blake, Jr. It is our desire to continue to remember, honor and maintain John’s many contributions to the music world as a consummate artist and innovator, but also his legacy as a compassionate and revered friend, teacher and mentor. If you are encountering John and his work for the first time, we hope you come away with knowledge that inspires you on your own journey. For those who met, knew or worked with John, or were touched by his music, may your visit here bring to mind once again his energy, his laugh and his openness, his generosity of spirit. Should you wish to contact the family please send an email to: . Welcome to John Blake’s website. Here, you can find out about John’s activities as a performer, educator, composer, author, and recording artist. Click the images below to watch videos of John Blake.